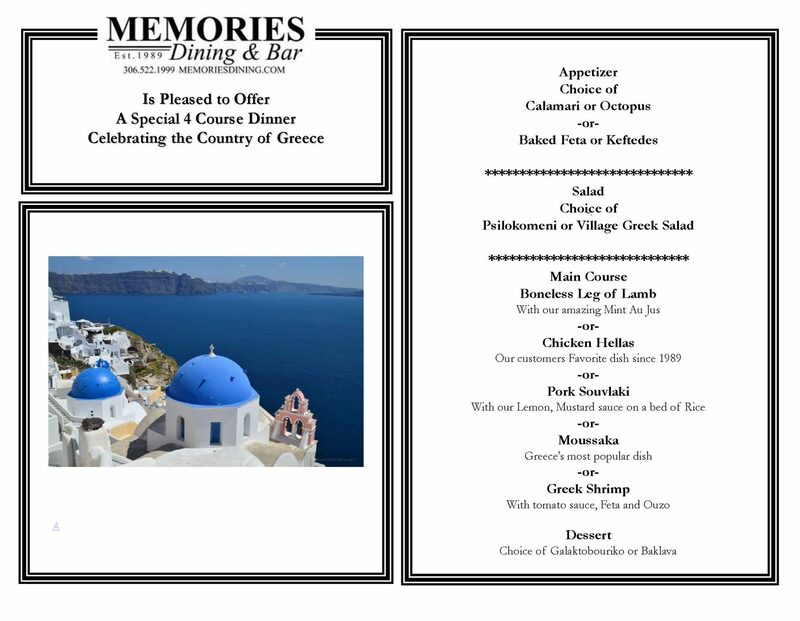 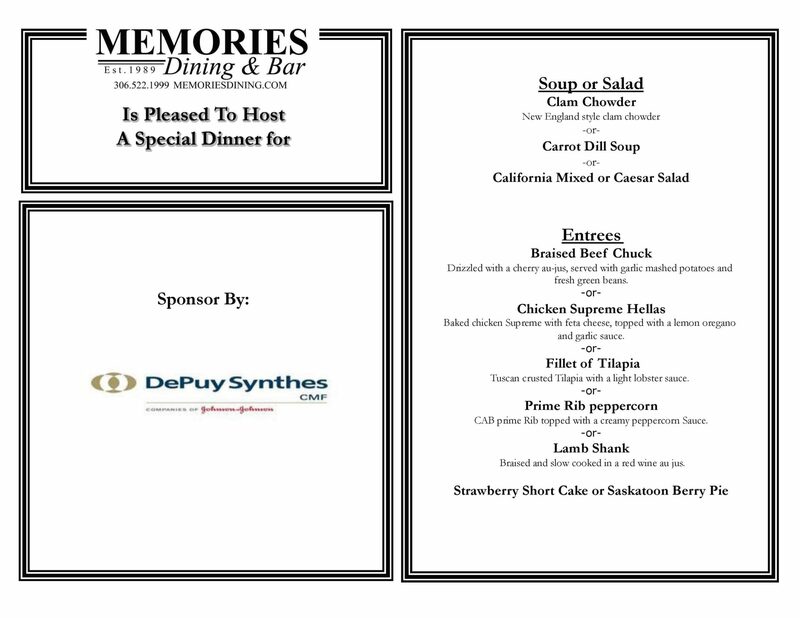 Memories Dining & Bar Greece Special Menu. Jon & Melinda’s wedding reception. 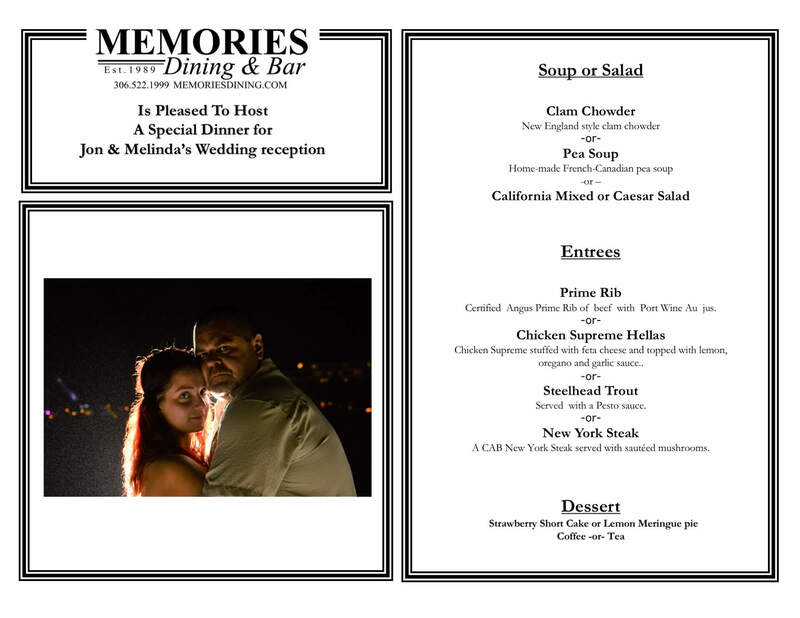 Special menu for Jon & Melinda’s wedding reception. 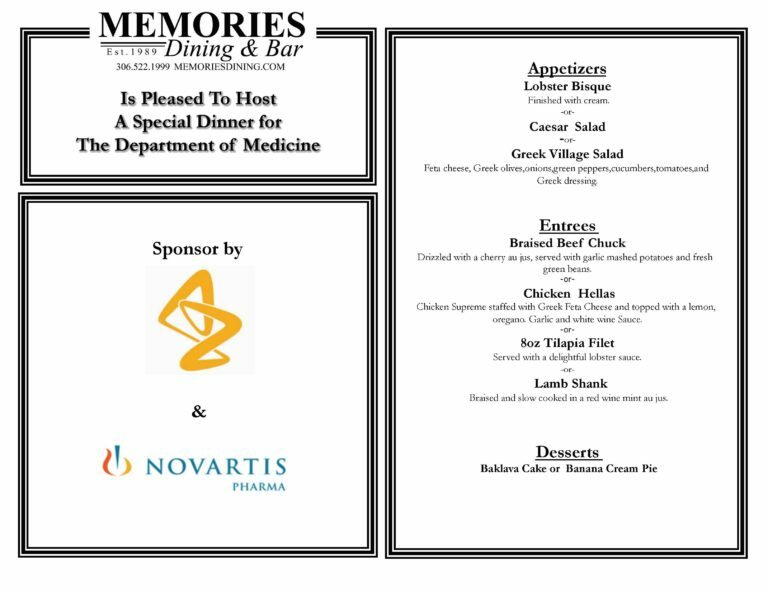 Corporate function for Astra & Novartis. 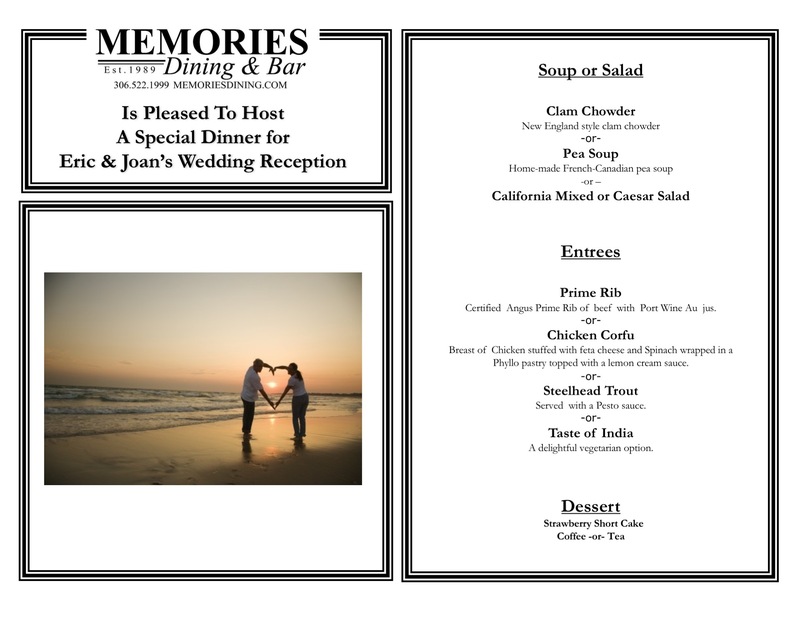 Personalized dinner menu for Eric & Joan’s bid day.. 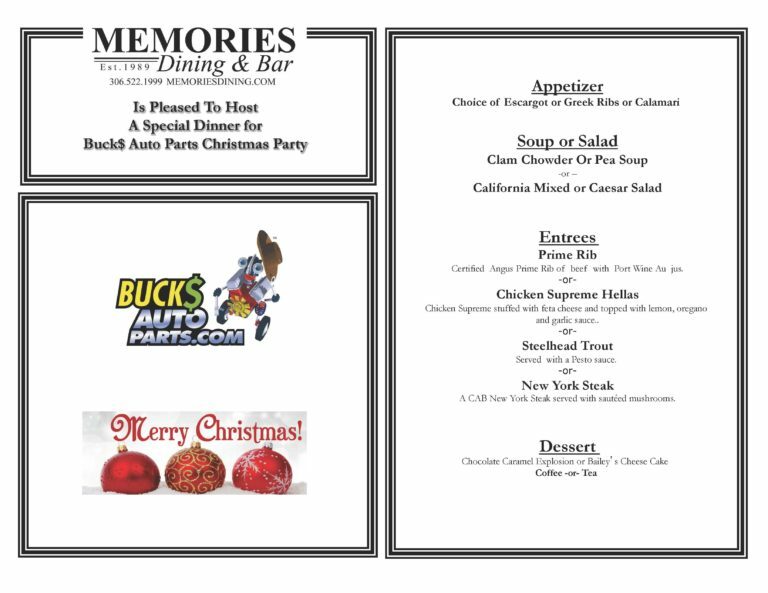 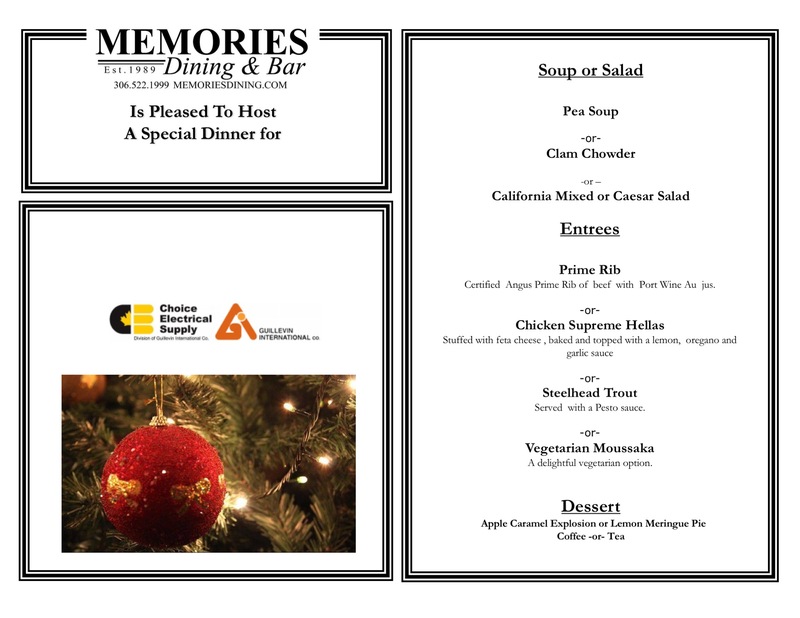 Customized catering menu for Choice Electrical’s Christmas party. Corporate function for De Puy. 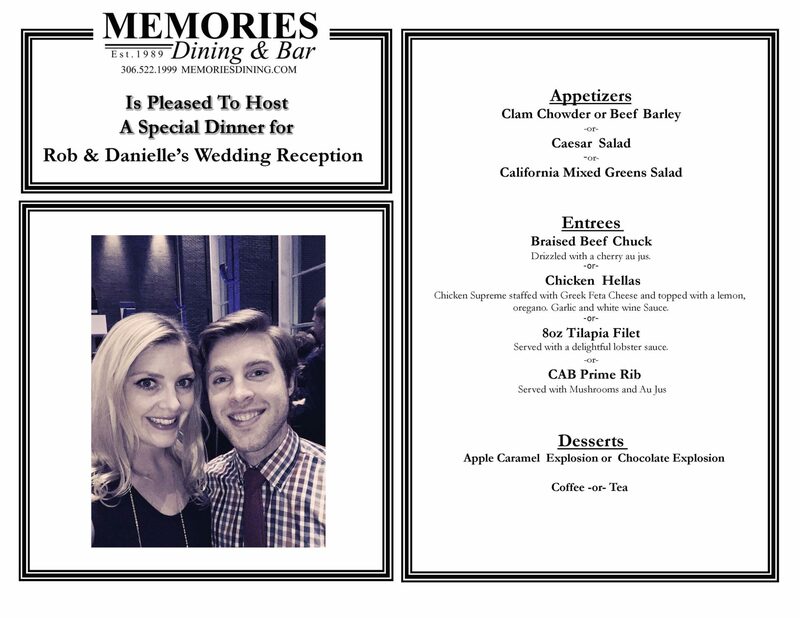 Rob & Danielle’s wedding reception.